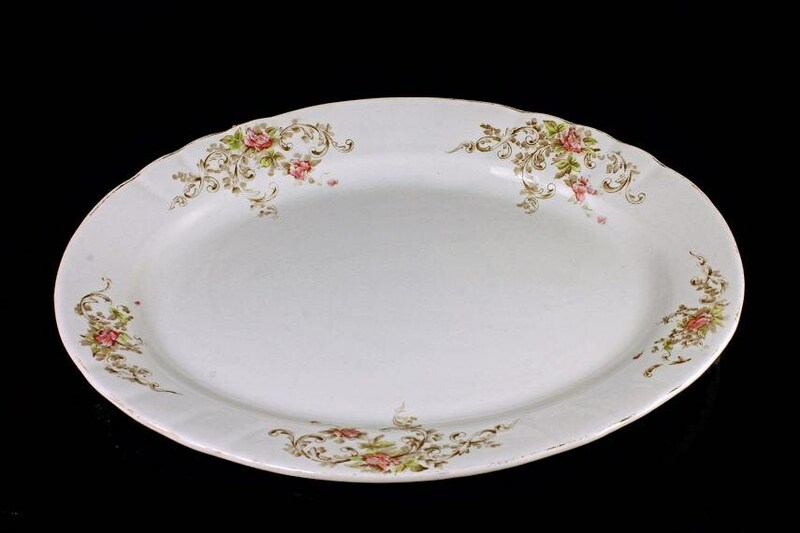 A rare antique platter from 1898. It is made from white granite with a floral design. Made by The Crescent Pottery, Trenton New Jersey. This platter is 117 years old but in great shape for it's age. It is also quite heavy. What a wonderful antique to add to your home decor. 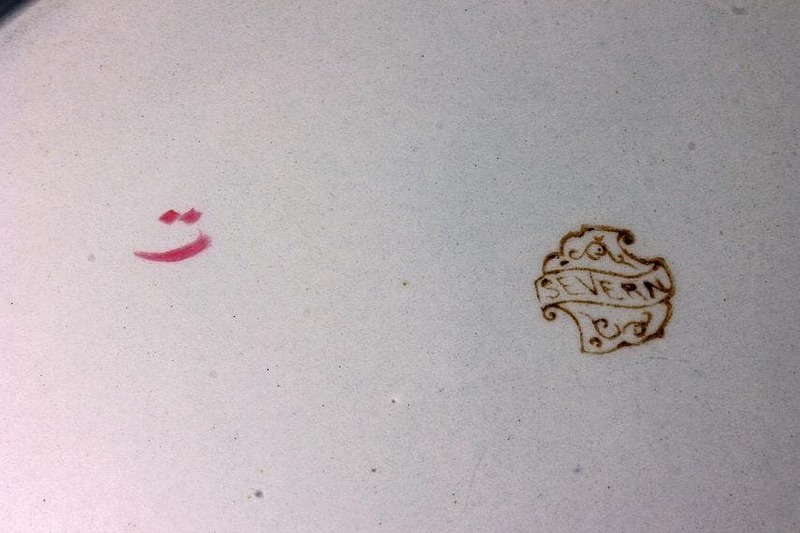 The Crescent Pottery was established in 1881 by Charles Cook and W. S. Hancock. They specialized in the making of sanitary earthenware, white granite, and cream-colored earthenware (Known as C C Ware). The company closed in 1907. 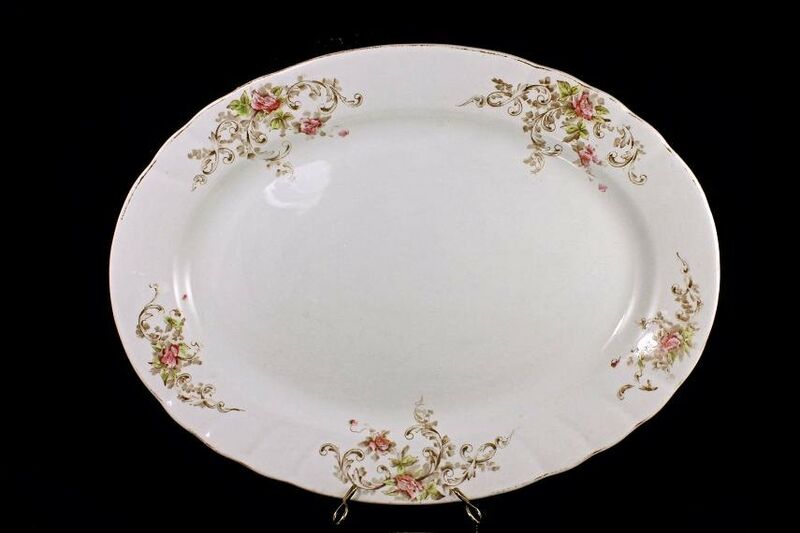 This platter is a great way to own a piece of the past. It is lovely even considering it's age and use. It does show signs of it being used and loved. The gold on the outer edge is almost gone. 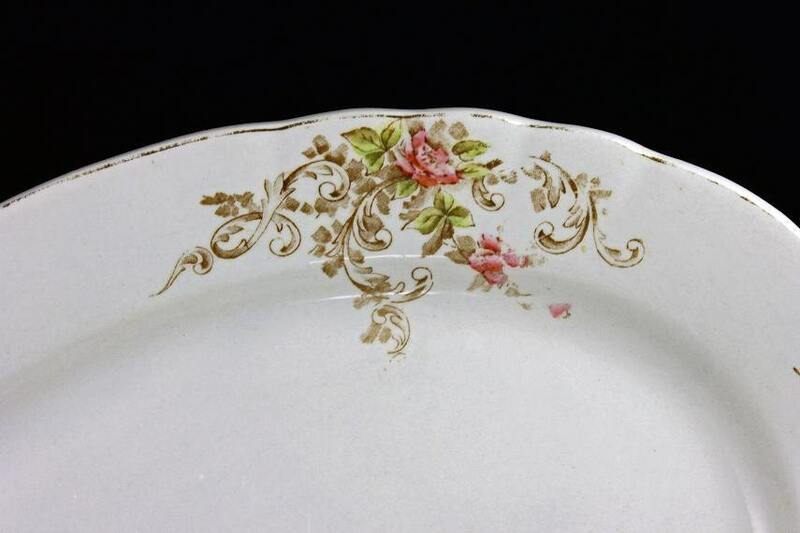 The floral design is a bit faded but still pretty. There are no chips, cracks or crazing. This is in very good antique condition. Cannot be shipped with another item.